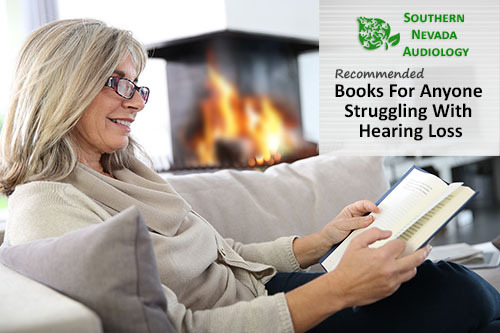 Such books are extremely valuable to anyone struggling with hearing loss – from those whom have been recently diagnosed to those whom have lived with it their entire life. There are a ton of great reads you can potentially recommend, so we picked out a few of our favorites to save you some time. An engaging account of the author’s struggles and triumphs with, as she calls it, her “invisible disability”, Shouting Won’t Help: Why I – and 50 Million Other Americans – Can’t Hear You received positive reviews from the New York Times and People magazine. In addition to going into detail about her own struggles, Katherine Boutin also speaks with doctors, audiologists, neurobiologists, and other experts to help shed light on the widely misunderstood phenomenon of hearing loss. Perhaps the most uplifting moments of the book are when Boutin writes about the return of her hearing through the help of doctors, hearing specialists, and modern technologies. It is available for purchase on Amazon in digital, paperback, and hardcover formats. In The Way I Hear It: A Life with Hearing Loss, author Gael Hannan uses humor, personal experiences, and practical strategies to take readers on a journey that looks at hearing loss at every stage of life. She offers tips on how to communicate effectively with hearing loss and provides heart-felt vignettes from people whom have attended her seminars and conferences. Because of the witty writing and effective storytelling, people without hearing loss will find it entertaining and insightful as well, making it a great book for your patients to share with their loved ones whom want to better understand their condition. It is available for purchase on Amazon in digital and paperback formats. Marcia is a past president of Self Help for Hard of Hearing People (SHHH), which is now the Hearing Loss Association of America (HLAA). In Living with Hearing Loss, she dives into all types of hearing loss, their causes, and the early warning signs of each. Additionally, she provides thorough information on seeking professional evaluations, assessing hearing aids and other assistive technologies, the potential of cochlear implants, dealing with tinnitus symptoms, and more. Leveraging her personal experiences, she also offers suggestions on how people with hearing loss can adjust in the workplace and other everyday situations. It is essentially a survival handbook for anyone struggling with hearing loss. It is available for purchase on Amazon in paperback format. Last, but not least, A Quiet World: Living with Hearing Loss chronicles the struggles author David G. Myers faced with his gradual hearing loss. In great detail, he and describes problems the hard of hearing deal with both at home and in the outside world, particularly in the workplace. He also writes about hearing loss solutions, makes recommendations on coping strategies, touches on how family and friends can help, and provides information on new technologies and surgical procedures readers may wish to consider. It is available for purchase on Amazon in digital, hardcover, and paperback formats. Any of the aforementioned books will entertain, enlighten, and help your patients. For those you are seeing before the holidays, ask them what their plans are. If they’re going to be doing a lot of traveling, recommend one of these books. Just be prepared to have a discussion with them about it during their next visit. They'll likely be dying to talk with you about it.